Leominster - Jeanne B. (Auger) Doucet, 82, of Leominster, died April 11, 2019, in St. Elizabeth's Hospital, Boston. She was born May 29, 1936, in Fitchburg, daughter of the late Charles J. and Beatrice D. (Metivier) Auger. Jeanne graduated from St. Bernard's Central Catholic High School, Class of 1954. She had worked as a secretary for her husband, Sam, at Doucet Electric, and for her son, David, at ERS Electric. She had also worked as a nurses aide at River Terrace Nursing Home. She loved to knit and made hats for babies at St. Elizabeth's Hospital, several times a year. Jeanne was a member of St. Leo's Parish. She is survived by her husband of 47 years, Samuel J. Doucet of Leominster, one son; David Litalien and his wife Maria of Leominster, two daughters; Wendy Christian and her husband Chet, of Windsor Lock, CT, Michele Young of Athol, MA, one brother; Charles Auger of South Carolina, along with her grandchildren; Ryan, Scott, Chet, Seth, Jessica, Caitlin, Ashlee, Alex, Linsey and her great grandchildren; Aubrey, Alivia, Bentley, Aliana, and Thorin. She was predeceased by her parents, two sons, Mark Litalien and Alan Litalien, and a brother, David Auger. 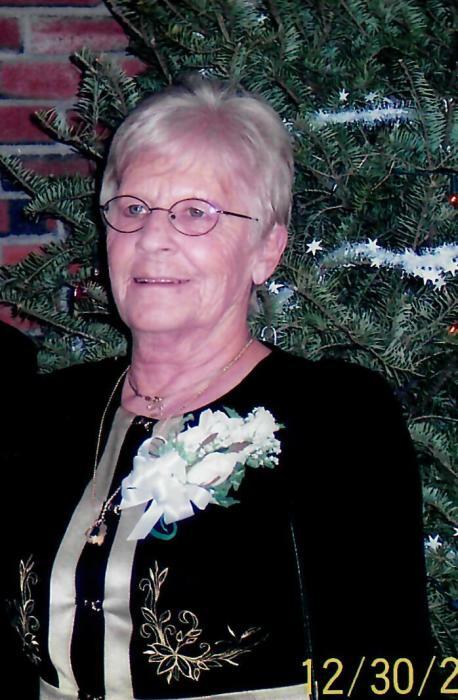 Jeanne's funeral will be held Wednesday, April 17th, 2019, from Wright-Roy Funeral Home, Inc., 109 West St., Leominster, with a Mass of Christian Burial at 11:00 a.m. in St. Leo's Church, 128 Main Street, Leominster. Burial will follow in St. Leo's Cemetery. Calling hours will be held Tuesday, April 16th, 2019 from 5:00 - 7:00 p.m. in the funeral home.